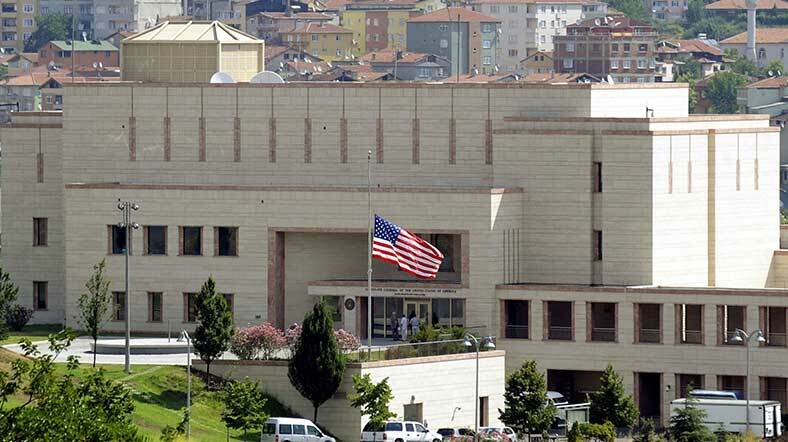 A Turkish citizen working for the US Consulate in Istanbul, identified as N.M.C., was put under de facto house arrest, according to Al-Monitor on Thursday. N.M.C. was interrogated for four hours and asked to remain in his house until a further notice, sources told Al-Monitor adding that he did not go to work on Feb 1. While he has yet to be formally charged, sources speculated that his contacts with the former police officers who were earlier dismissed over alleged ties to the Gulen movement. Al-Monitor also said police earlier detained N.M.C.’s wife and daughter after failing to locate his place. Turkey and the US have been at odds due to the former’s jailing of several US citizens and a consulate staffer.